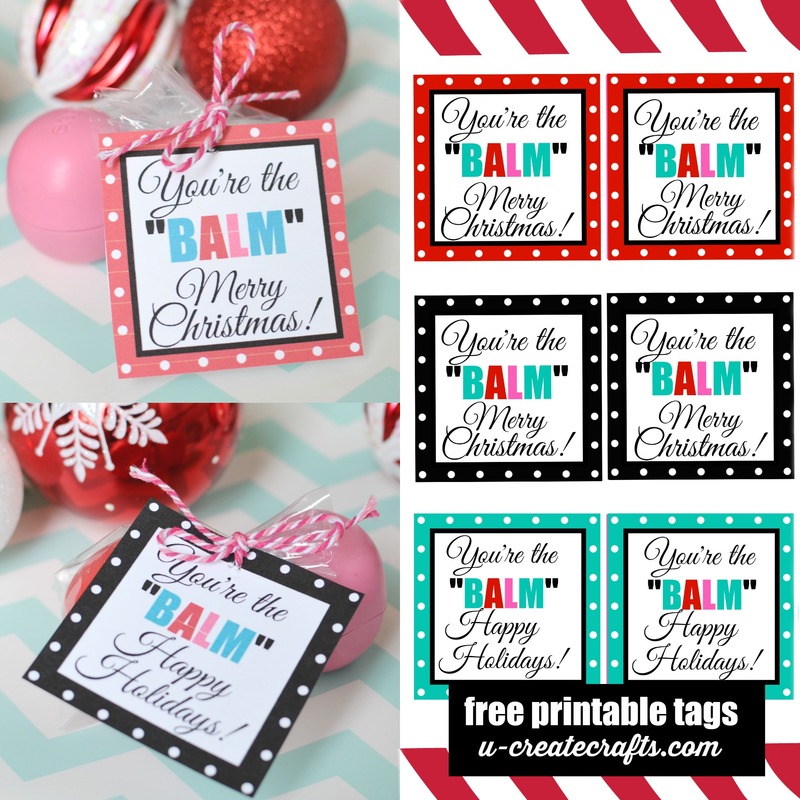 Many of you have asked me to create a Christmas version of my – You’re the BALM – printables and I’m excited to share them with you today! 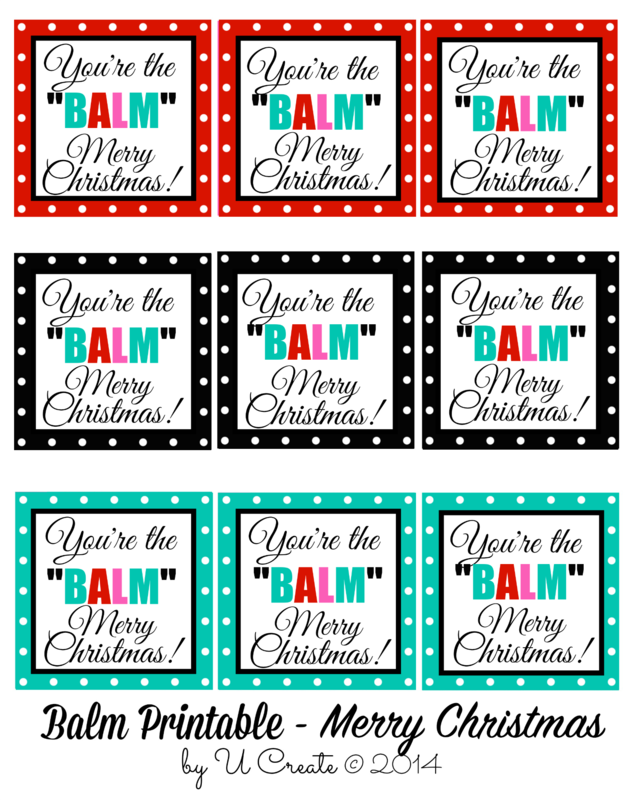 Simply print out, attach to your favorite lip balm, and you have an instant Christmas gift for just about anybody on your list! I’ve created “Merry Christmas” and “Happy Holiday” versions to choose from! WHERE WAS THIS LAST WEEK!? Love this. So glad you like it Ashlee!! 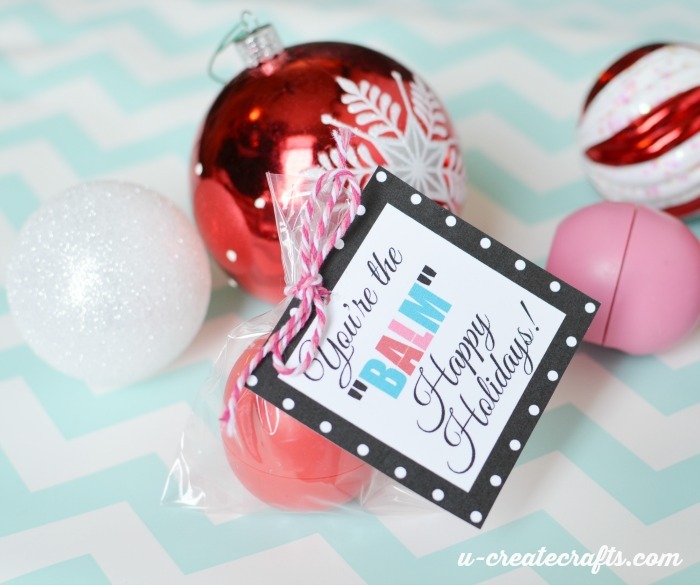 Absolutely love this darling printable! Pinned! Wow this is so creative! You could even reuse them as Valentines on Valentine day! Keep up the good work! I’ve actually started on a Valentine’s version, too!! Thanks for you kind comments Cara! Hi! This is so cute! Did you create a Valentine one? Thanks! I love this! Amazingly creative idea! Can I ask what size bags you use for these? Thanks a bunch and Happy Holidays! This is so cute and sweet! 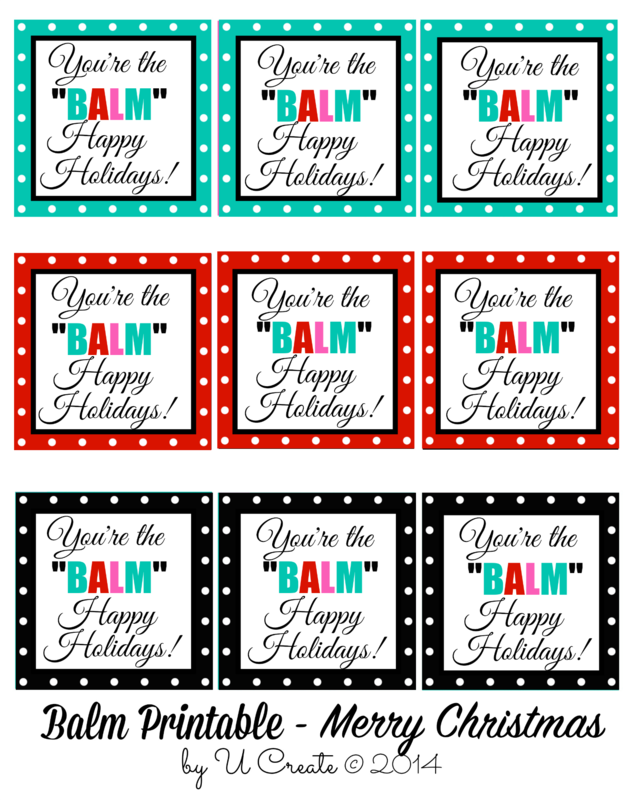 Thanks for this printables! I would love to give these as small birthday gifts. Anyway the printable could say “Happy Birthday” where it says “Merry Christmas”? So cute! Love it! Could you make a birthday version!!! Sooo cute!! I’ve been looking all over and your color scheme and version is by far the cutest! !